The SLAS2018 Exhibition features hundreds of leading providers of life science discovery and technology products and services. The event for clean room and pharmaceutical process technology. Farmaforum is a pharmaceutical, biopharmaceutical, cosmetics and technology laboratory forum, with an extensive program of conferences and workshops. MSR-Spezialmesse Rhein-Main is one of the four MEORGA traid fairs. It is a technological oriented traid fair with additional workshops for products of metrology, control technology, process control systems and automation technology. 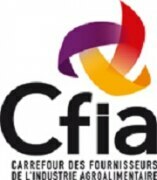 CFIA ist the key event for the food-processing industry and will bring together 1450 exhibitors offering process, packaging and ingredients solutions. PHARM Connect Congress is the largest and most important pharmaceutical and biotechnology business summit in the Central Eastern European and the CIS Region. The ISPE Europe Annual Conference is a good platform to network and solve problems with top pharmaceutical and biopharmaceutical industry figures, to learn about important industry topics, to meet with suppliers and to share best practices with colleagues.